That's the title: "Cat Basket." 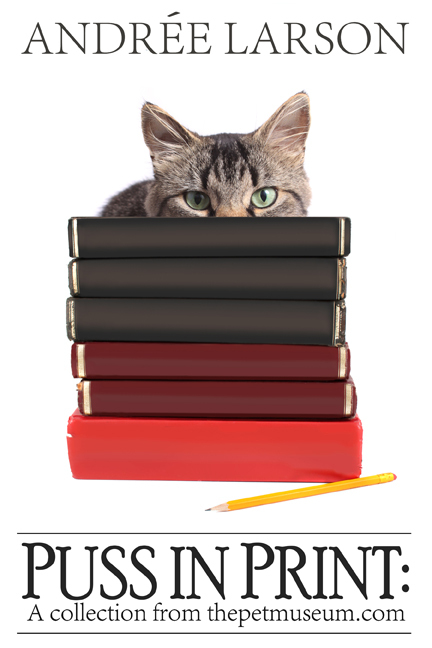 (Also known as "Study of Cats III," but everyone seems to prefer the other.) 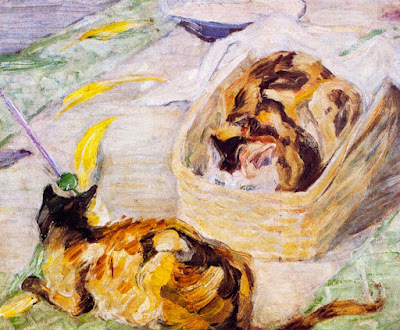 This delicious Franz Marc from 1909 shows a free gusto in the strokes used for the cats' fur. Don't those cats look plush and twitchy, as though they'll bounce up and out at any second? Perhaps he was painting quickly in case they did.